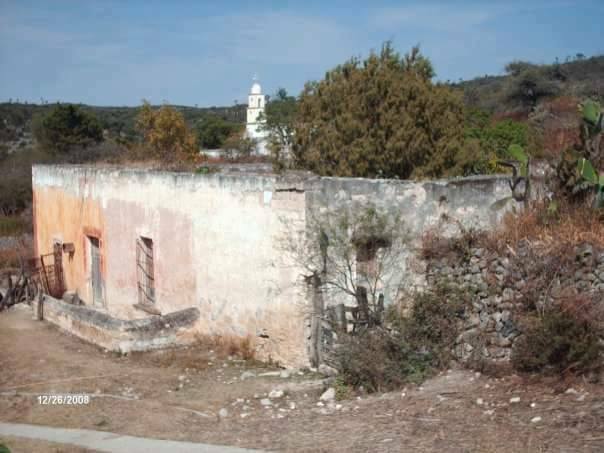 My father’s paternal ancestral hometown for centuries–Rancho el Temaxcal located in the municipio of Armadillo de los Infante, in the state of San Luis Potosí, Mexico. Photo by Robert Nieto Gallardo. During lectures I gave this past August at my local genealogy society and at a conference, I polled the audience asking how many who are on Facebook had checked if there is an existing Facebook Group for their ancestral hometowns, and few people raised their hands. When I showed them the kind of information that I have obtained from one of my ancestral hometown Groups, they were amazed. 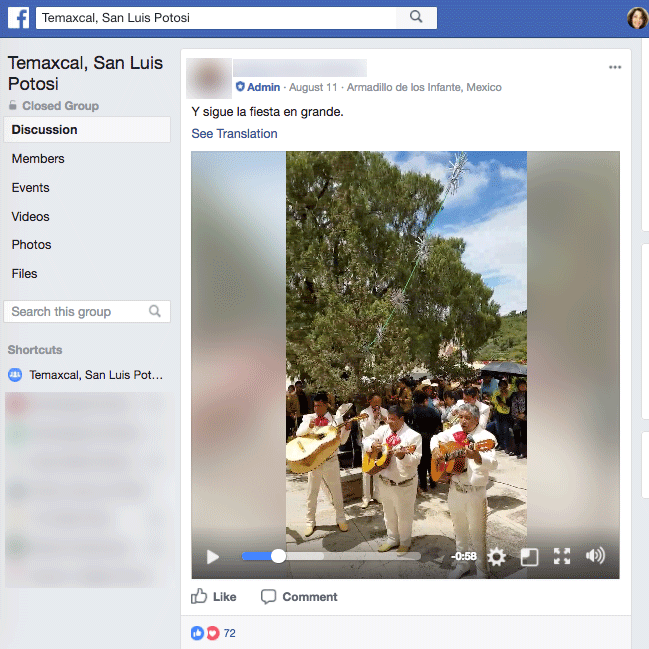 Even if your ancestors came from a very small community, there might be a Facebook Group focused on the people who live there, used to live there, or whose ancestors came from there. Dad’s paternal ancestors lived for centuries in a rural farming and ranching region in the state of San Luis Potosí, Mexico. I have traced some of those lines through digitized original source records back to the late 1700s. The majority of Dad’s paternal line spent their lives in Temaxcal (also spelled Temazcal, historically spelled Temascal, and frequently spelled in historical U.S. records as Tomascal). El Temaxcal is a small rancho located in the central Mexican state of San Luis Potosí, located about 70 kilometers (43.5 miles) northeast of the capital city of the same name, in the municipio (municipality, like a county) of Armadillo de los Infante. The state of San Luis Potosí (outlined in red) shown on the left, and my ancestral hometown Temaxcal (the red place mark) shown on the right. State law classifies a pueblo (a village) as having more than 1,000 inhabitants, and a ranchería (a hamlet) as having less than 1,000 inhabitants.1 I have not yet found a population number for Temaxcal on the state’s website, but an annual poverty report from the Mexican Secretary of Social Development, citing 2010 figures, describes Temazcal as having less than 2,500 inhabitants 2. The volunteer-run website PueblosAmerica.com notes that Temazcal has 99 inhabitants, but the website does not cite a source for this figure, other than listing its site-wide data sources on a separate page.3 An academic colleague and friend (who is also a recently confirmed DNA relative!) with family from there, and who still visits the rancho, has told me that Temaxcal has very few year-round residents. She and other Temaxcal descendants tend to refer to it as a rancho or a village. Why am I highlighting the population figures for my ancestral hometown? Because Temaxcal, being so small in area and population, is the last place I thought would have a Facebook Group focusing on it! I belong to Facebook Groups focusing on the history of ancestral places relevant to both my family and my husband’s family. But those are for large states (example: Historical Images of San Luis Potosí. Mexico), counties (example: Orange County (California) History), and a bunch of place-based Groups with “genealogy” in their titles. I certainly did not expect a rural rancho with less than 100 year-round inhabitants to have a Facebook Group devoted to it. But one day just a few months ago, I noticed in my Facebook news feed that the aforementioned colleague/friend/DNA match had Liked or commented on something in a Facebook Group named after our ancestral rancho. This tiny rancho of approximately 100 people has an active Facebook Group with over 1,000 members (a bunch of my own relatives quickly joined the group after I did). Group Member names and Profile photos are blurred out for privacy reasons. 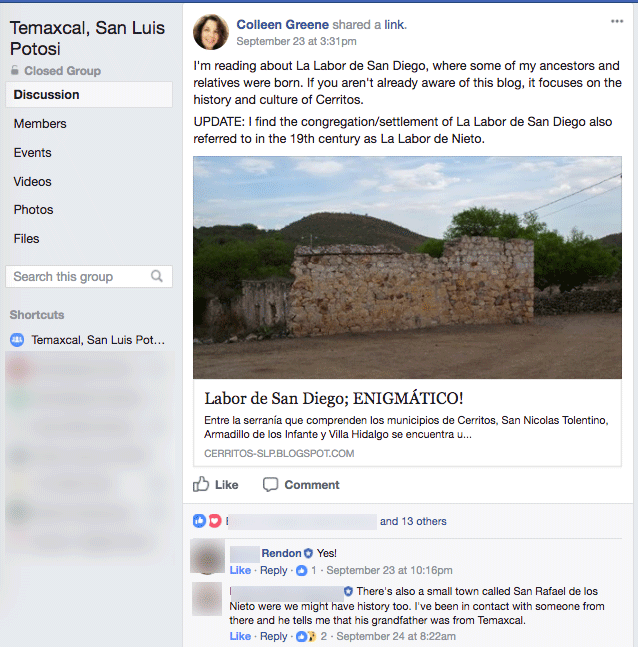 Unlike the history and genealogy-oriented Facebook Groups that I mentioned earlier in this blog post, the Temaxcal group is general in scope. The members all seem to be people born there or whose ancestors (or loved one’s ancestors) were born there. Some have family members still living in Temaxcal. It is heartwarming to see the pride and love that so many have for this small rural rancho in Central Mexico. Those of us who post and comment often jokingly talk about how we’re pretty sure we are all related to each other, we just don’t know how yet. The thing is, we’re not really joking. As I have said, Temaxcal’s population is small. This is also true of the extended region. Browsing through centuries of digitized Catholic parish records and civil registration records, one encounters the same couple dozen surnames over and over in this region, marrying into families with the same couple dozen surnames. Those records that reference Temaxcal have an even smaller subset of common surnames (Nieto, Sanches, Mesa, Compean, Robledo, Rendon, Perez, etc.). Clicking on the list of group Members displays many of these same surnames. Some of us have done autosomal DNA testing, and more are starting to test. And yes, we see each other showing up on our Match lists. Location-focused Facebook Groups like the one for my ancestral rancho provide genealogists with a virtual telescope to peer across the lands and sea to observe a distant place. Members of these groups can be valuable partners for learning more about your family history. I will walk through some concrete examples. Group Member names and profile photos are blurred out for privacy reasons. Group members often post photos and videos of Temaxcal, both from the past as well as current/recent trips back. The photos and videos that show people (vs. the landscape) provide me with an opportunity to observe the local culture and customs. The video in the screenshot below was recorded during the local patron saint’s festival that is held each August. Generations return home to Temaxcal to honor their patron saint, and to celebrate community and family. I am told that this normally quiet fairly empty rancho is filled with music, food, a procession, and festivities during this multi-day annual event. I was able to watch the festival from home in southern California. My dad is not on Facebook, but Mom is, and she is also a member of this Facebook Group. So she was able to show Dad what was happening down at his ancestral homeland. A cousin was able to show her almost 90-year old father (my grandfather’s 1st cousin) this special celebration taking place at the rancho where his own parents were born and lived before immigrating to the U.S.
One of many videos posted to the group of the festival activities. I share many of my research discoveries and questions in this Facebook Group. It never fails. The other members chime in and provide me with new leads or try to help me work through different hypothesis or answers to my questions. Sometimes we don’t develop anything more than a hunch to explore further, but a number of times different members and I have been able to figure out relationship connections that have helped me bust through a couple brickwalls. The small size of this community contributes significantly to the successes I have had so far with figuring out relationship connections via group discussions. The families know each other (or at least know of each other). Those who grew up there (whether the group members themselves, their parents, or their grandparents) remember stories passed down to them about the various families who lived there in the last 100 to 150 years or so. When I share blog posts about my great-grandparents or 2nd great-grandparents, someone always comments about an older family member remembering hearing some tidbit of information about them. So many of the posts shared in this group lead to tips that help me answer research questions, or provide new leads to begin exploring. This crowdsourced help to figure out relationship questions has recently moved into discussions about DNA matches too. I have tested a handful of my known Temaxcal line family members over the last five years. Thanks to Ancestry’s massive marketing efforts (especially those TV commercials), I have seen a significant increase in the number of DNA matches for those kits. Some of those new tests belong to members of this Facebook Group. Group members–even if they have not taken a test–are sometimes able to help me figure out who these newer matches are, and some of the ways those matches are related to my lines or to other Temaxcal lines that I have identified and am now tracing. I say “ways” instead of “the way” because this community historically has been heavily endogamous, with the same families intermarrying for generations. Group members who know so many of the various family connections help me work through identifying DNA match relationships as well. Next month, my dad, oldest niece, and I are visiting San Luis Potosí and Temaxcal for the first time. 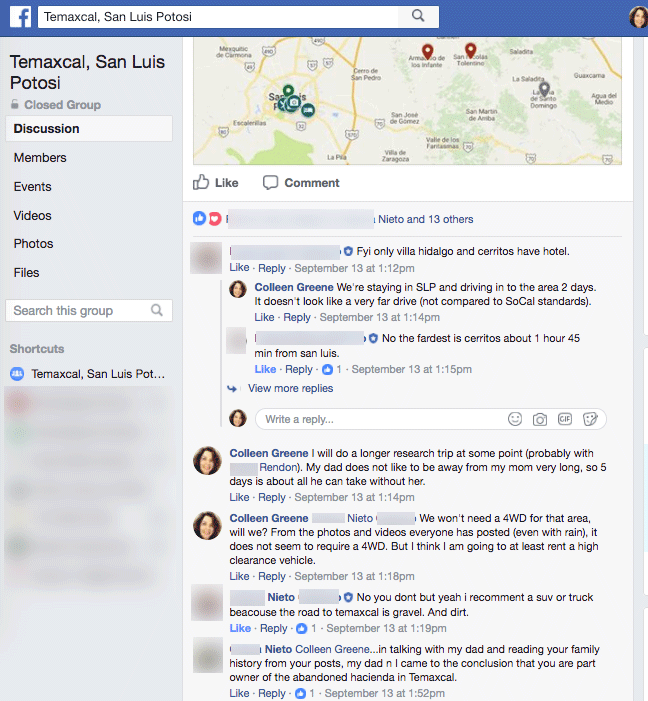 Temaxcal is such a small community that there is hardly anything available online to learn about it, much less to get travel tips. Google Maps/Earth had been my sole reconnaissance tool for planning this trip…until I discovered the Facebook Group. Members have been so helpful with travel advice. 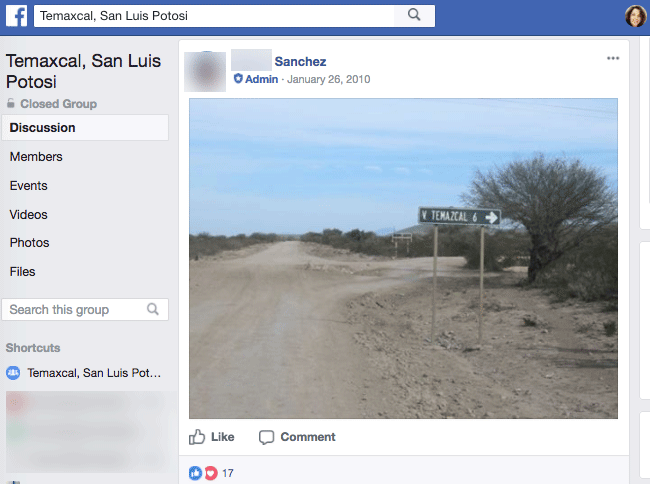 The screenshot below includes a photo posted by a group member, showing the dirt road and cut off to get to rancho Temaxcal. Seeing this better prepares me for the drive out there, and lets me know that there is indeed a sign marking the cut-off. This photo of the dirt road and turn off to Temaxcal helps me know the type of signage to look for on my first trip there next month. Other members have posted photos and videos of the dirt roads, including after rain. Chatting with them in the Facebook Group let me know that I should rent a high clearance vehicle, but that a 4WD is not necessary. Invaluable advice from group members who know the area about where I can gas up, buy food, find bathrooms, etc. on my trip next month to this rural area. Group members also let me know where I can expect to get gas and food, and find bathrooms out in this rural region of San Luis Potosí. Most importantly, I now know where to find the best gorditas in the nearby municipio and parish seat of Armadillo! Gorditas are a regional speciality for which San Luis Potosí is known. Dad talks fondly about his Temaxcal-born immigrant grandmother making gorditas when he was growing up. But for some reason, this is not one of the family dishes that Dad carried on to our branch of the family. This half-Mexican history and food nerd has never tried a gordita. Such a travesty! I plan to rectify that next month on this trip. Yes, I can get gorditas here in southern California. But I’ve gone this long without one, so I might as well hold off and try these for the first time in the land of my Mexican ancestors. 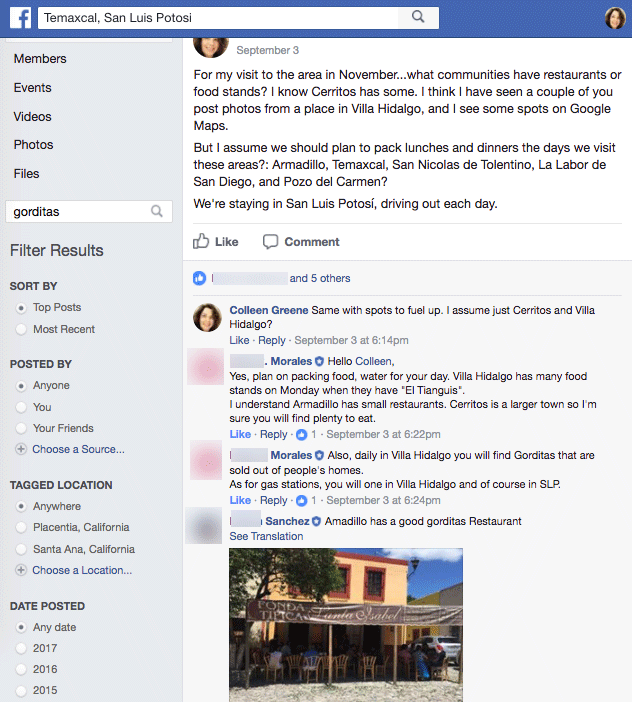 The most important travel advice of all…where to get the best gorditas in the municipio (county) seat of nearby Armadillo. 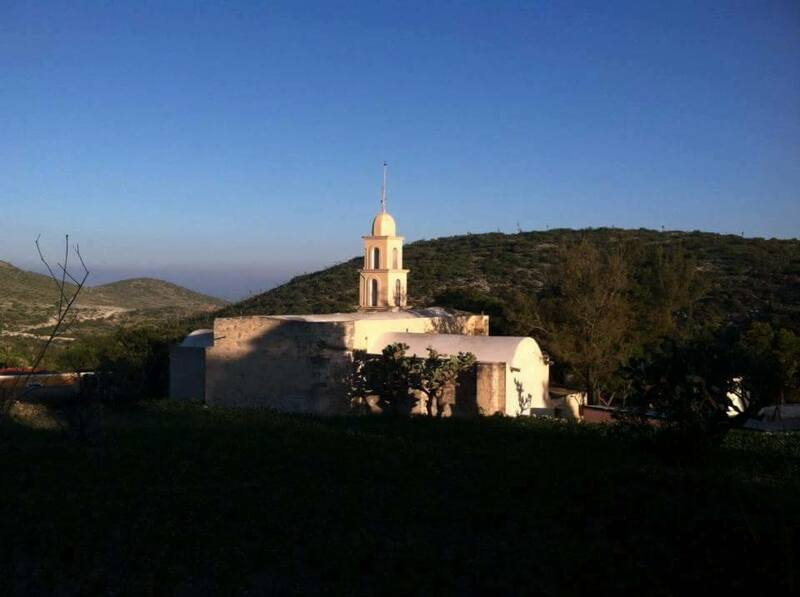 Hands down the single most exciting discovery via this Facebook Group is the one that still sends chills down my spine…photos of the hacienda once owned by my ancestors (still owned, I am told, by a different branch of my family). These photos were not posted in the Facebook Group, but were instead sent directly to me by one of the group members I have become Facebook Friends with outside of the group space (and he is probably a cousin). My extended family always heard that our family owned a hacienda and land in San Luis Potosí, before fleeing during the Mexican Revolution, but I assumed that was just family lore. However, many of the vital and church records that I have found over the last four years for the ancestors and relatives I have researched indicate their place of birth and/or place of residence as Hacienda Temaxcal. And many members of this Facebook Group tell me that yes, my family were the hacendados (the owners of the hacienda, the “big house”). The group members I have discussed this with the most think that my 3rd great-grandparents, Pedro Nieto Castillo (abt. 1823 – abt. 1893) and Maria Fabiana Mesa (? – abt. 1893), were the last of my ancestors to own and live in the big house, before splitting up the property among their children. Their younger son, my 2nd great-grandfather Jose Refugio Nieto Mesa (1863-1906) supposedly did not inherit the big house, instead inheriting other property on the rancho. I have not researched, must less verified, any of this myself yet. But again, these are all incredible leads to investigate! This is what is now left of the “big house” where my 3rd great-grandparents lived and probably died, and where my 2nd great-grandfather probably grew up. In a little over 3 weeks, Dad, my niece, and I will get to see and touch this building in person. The “big house” part of Hacienda Temaxcal, where my 3rd great grandparents lived. These are just a selection of special discoveries and connections I have made since joining this Facebook Group a few months ago. The members of this group have been so incredibly helpful to my research. 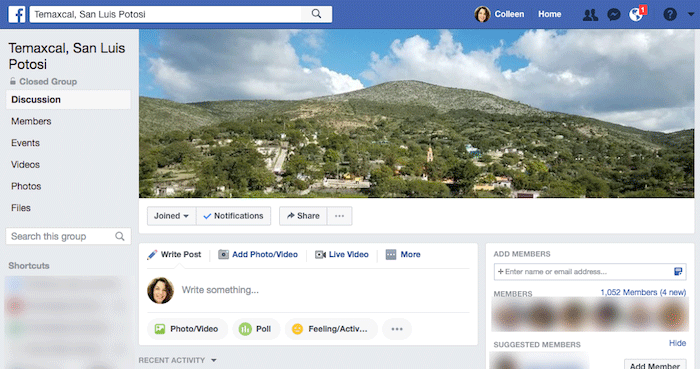 But more importantly, this Facebook Group provides an online space where people from all over the world who have a connection to this small rural rancho in central Mexico can bond and continue the sense of community shared among our various ancestral lines for centuries. Your learning lesson? Go look for and join Facebook Groups that might exist for your ancestral hometowns! I so completely agree with you and share your experience with this, Colleen. 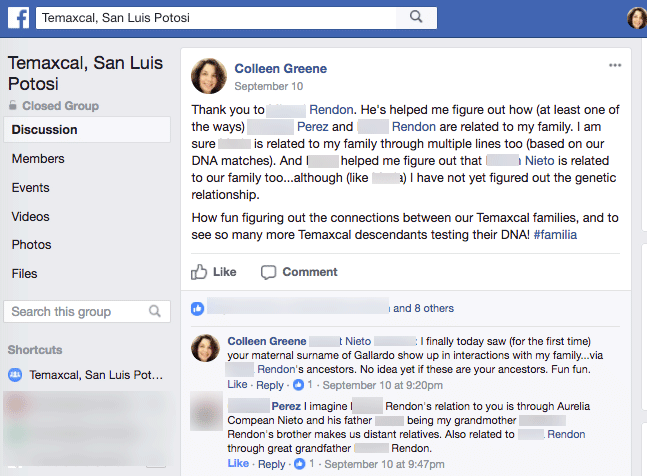 I have a Facebook group called Trentino Genealogy, and it is amazing how many genetic connections can be found amongst us. The more research I do, the more I am convinced all descendants of Trentini ancestors are related in some way. Our small (but growing) Facebook group has become a great resource for sharing photos, information and insights, and enables members to ask questions about research, history, etc. I too have surname Groups and descendant Groups that are equally helpful. In addition to being helpful to my research, these groups help form a bond and friendships. How do you actually find such groups on Facebook? In the white Search bar at the top of Facebook, trying searching like you would on Google. Look for surnames and place names related to your research.